This is going to be ugly and I have a feeling Ball is Life is going to be determined to set a new scoring record this week and send a message to Recspekt that they are ready for them. 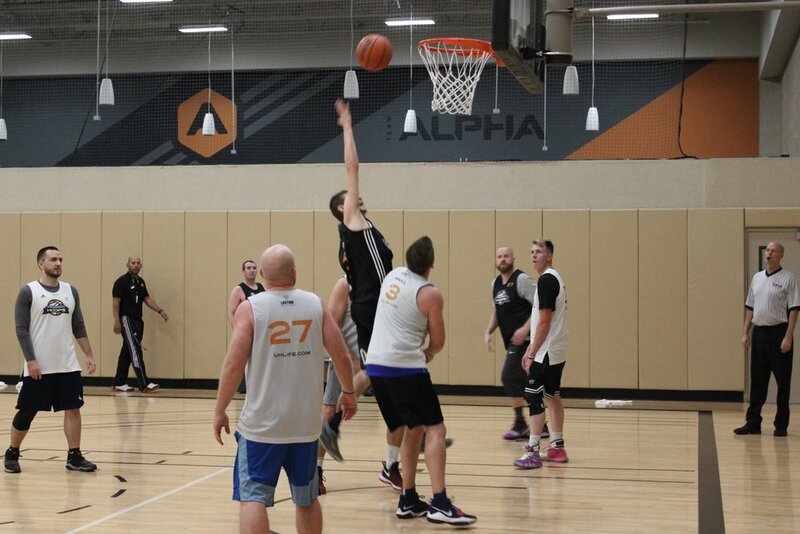 Ball is Life scored 155 points last week and fell two short of the record with only FOUR guys! They are playing a winless HYR Life team this week and I would imagine Ball is Life will have their way with them. To HYR Life’s credit they have really started to play much better over the last few weeks but I just don’t think they have the players nor the talent to keep up with Chris Ford, Bobby Mears, and of course Mihail Kocevski. Ball is Life knows they just need to continue to win and next week is the game they have in red on their calendar. Ball Is Life should have the No. 1 seed clinched this week but they just need to stay the course and take care of business. This is another game that will probably be over by halftime and this is a very important game for the Angels. A win this week and next week could put them in prime position for the No. 2 seed. There is still an outside chance for the No. 1 seed if Recspekt beats Ball is Life next week but let's not get ahead of ourselves. The Angels need to take care of business the next two weeks and it starts this week against BAR. I am looking for Benji Roufs to be the one to get this team fired up this week like he always does and I don’t think BAR will have any answers for Adam Schmitt and Henry Nguyen. BAR will need to have Jason Matalon in attendance this week if they want to have any shot in this one. Look for the Angels to bring the energy right from the start and have this game in the bag by halftime. Our 7:30 games have massive playoff implications and this game starts a crucial two week stretch for both of these squads. This game is a rematch from last seasons final four which saw Recspekt end WTF JR?’s dream season. A win by either team this week will really give them momentum heading into the final week of the season and without question improve their seeding. Recspekt is loaded and when their whole team is present there is no question they are the best team in the league. This week the guard play of Haley Vinson, Edward Vaughns, and Charles DeJohnette will be critical as they will matchup with WTF JR?’s dynamic duo of Sean Breen and Max Miller-Hooks. Who ever can stop one another will have a leg up in this ball game and if you remember in the Final Four game last season, it was Haley who lit them up for 22 points and six 3s. Also this week Recspekt gets Jacob McDonald back who has missed most of the season due to injury. His presence will be welcomed as he can help guard WTF JR?’s post players. Both these teams know how important this game is and I believe they will be ready to go. WTF JR? has to remember that 29-point beating they took in the Final Four and I am guessing they will come out motivated. I think this time around this game will be much closer and I am expecting a better performance out of Breen and Max. However I think the return of McDonald and the presence of Charles Vinson will be too much for WTF JR? to overcome. Recspekt wins a close one and sets up the title game rematch against Ball is Life next week. Our second 7:30 game is just as important as the first one as two 3-3 teams will go at it and the winner will really solidify its seed for the playoffs after this one. Both of these teams have been up and down this season as they have been learning to play with each other but both teams seem to be rounding into form as the season winds down. Beacon is coming in with some momentum after their last second win last week over HYR Life. The duo of Tim Parelli and Devin Dunn have been playing very well over the last few weeks and this team is starting to shoot the ball better from the perimeter as well. Easy Go has been hot and cold all season long but they have played much better since they were beat up in a Week 4 loss to Ball is Life and a win this week will be huge moving forward. Rumor has it that Sam Earl will finally join Easy Go this week and if he does the makeup of this team chances. Earl has played multiple seasons in GV with fellow Easy Go teammates JJ Todd, Juan Carter, and L.C. Comine. This season Kenny McNeil has also joined Sam, Juan, and L.C. on a team in GV so it will be interesting to see the chemistry change and how Sam immediately changes this team. He will take a lot of pressure of Tij Von Nieda and Kenny McNeil that is for sure and the other four guys on the court with Sam will soon learn that its all about “feeding the hot hand”. This game should be a lot of fun. I think both teams cannot take each other lightly and if one of them do they will be in trouble. I think if Easy Go moves the ball and plays smart they will win. If Beacon tries to win this game from the perimeter and thinks they are 3-point shooters well they will have zero chance. The key in this game will be Tim Parelli and Devin Dunn. If they have their way with JJ Todd and Mike Smiljanic then Beacon will win, end of story. One thing to watch will be if Tyler McCamon will be back this week. He has missed the last two weeks and if he returns he adds another dimension to what they can do. I have gone back and fourth on this game and I think Easy Go will finally put it all together this week and show what they can do. If they cannot do it this week, well I don’t know if they will be able to do it at all this season. 8:30 p.m. - Hickory Huskers (1-5) vs. SP 101 (2-3). Our final game of the night is another game that could have some seeding implications but really just for one team, SP 101. With a win this week SP 101 can move to 3-3 and move to the middle of the pack in the standings. Hickory is coming off an embarrassing loss last week to Ball is Life. It will be very interesting to see how Hickory responds this week after losing the game last week 5-on-4. SP 101 plays with a ton of energy and does a tremendous job of rotating guys in and out to keep them fresh. I think their energy is going to cause a lot of problems for Hickory and surprisingly SP 101 plays some really good defense, as they rank No. 2 in the league in steals. SP 101 will need big games from Manzik Kaden, who is averaging 21 PPG and also Mikey Margolin, who is averaging 18 PPG. Both these guys will launch from just about anywhere and Hickory will need to be ready to defend. As for Hickory, they have the talent, they just need to bring the effort. Enough has been said about last week, it's time for them to show up and take care of business. Kerry Knoll has to right the ship and get his guys motivated this week. I am giving the edge to SP 101 but Hickory puts up a fight.